It is conferences like the one happening this morning at the Tanoa Tusitala Hotel that gives relevance to regional organisations such as the Pacific Community (SPC) and the impact that donors such as the European Union are having on the lives of the people. 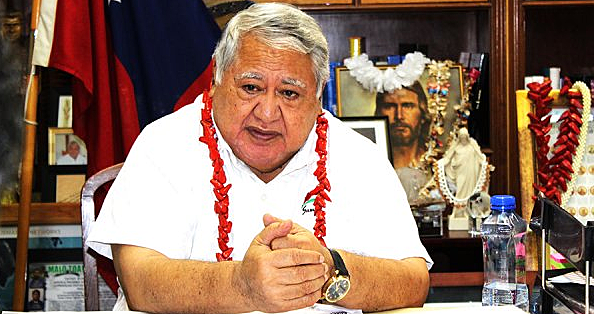 Government officials from 15 Pacific Island nations including Samoa are meeting for four days from today to undergo training on pest and disease management on coconut plantations around the region. According to the SPC, an increasing number of pests and diseases are being introduced into the region and are a threat to the Pacific. But the Coconut Industry Development for the Pacific (CIDP), a joint initiative of the SPC and the European Union (EU), has developed a Coconut Pests and Diseases Toolkit to identify, prevent and control pests and diseases that affect coconuts. “Invited participants are government and administration representatives with a biosecurity and agriculture background from around the Pacific, as they have both the time and the resource to deliver a similar training to farmers and other coconut sector stakeholders in their communities within their home countries,” stated an SPC background brief. The CIDP programme runs from 2016-2018 and is valued at €4 million. The SPC says the funding is being used to improve competitiveness of small producers in the coconut value chain, strengthen regional integration of coconut markets, and boost production in the Cook Islands, Federated States of Micronesia, Fiji, Kiribati, Republic of the Marshall Islands, Nauru, Niue, Palau, Papua New Guinea, Samoa, Solomon Islands, Timor Leste, Tonga, Tuvalu and Vanuatu. We take our hats off to the CIDP programme, the SPC and the EU for the collaborative effort, in a bid to save a sector that a lot of ordinary citizens in various Pacific Island nations rely on. Unstable coconut prices and the onset of pests and diseases can have a profound effect on the ability of families – regardless of where they live in the region – to earn an income. In Samoa, in recent years, there has been a movement to produce virgin coconut oil. Today Samoa, Fiji and Solomon Islands are some of the region’s three main players in the virgin coconut oil export market. But we are only scratching the surface in terms of fully benefiting from coconuts and all that it has to offer. There are markets around the world for other products such as copra oil, which can be used in hair and skin care products or even massage oil. What about coconut water? Is there a market for coconut water? The good news is yes there is a market in what is called the “sport drink” sector. Estimates in a report authored by the Pacific Island Farmers Organisation Network titled “An overview of the market for Pacific Island coconut products and the ability of industries to respond” point to a global coconut water market valued at US$1.3 billion, which is projected to increase to US$4 billion next year. The same report, which was commissioned by the SPC with the support of the CIDP and the EU, also highlights the potential of coconut cream and milk products as well as coconut timber. The world can become our oyster, in terms of harnessing the full potential of the Pacific Islands’ famous palm and its fruit, but it has to take a concerted effort from Pacific Island countries governments in partnership with donor agencies such as the EU and development partners like the SPC. But first things first – the famous palm and its fruit has to be saved from threats of various forms – which is why the meeting starting today in Apia is important. We note the focus of regional organisations, Pacific Island governments and donor partners in recent years on matters of significance to the region, with the conservation and management of the tuna fishery coming to the fore. But we would like to think that the importance of the coconut and its various products to Pacific Island communities, and the potential it has to generate income for citizens should not be discounted. The classroom-based training that the conference participants will undergo becomes the first line of defence, in our bid to save a tree that has long been associated and identified with our cultures and origins as a people. Kudos to the conference organisers for choosing Samoa as the host of the four-day regional conference. We understand there will be field visits in Samoa after theoretical learning and application in the first half of the day, giving our visitors a chance to explore more of beautiful Samoa. It is the start of another working week so give it your best shot and God bless!